Martha writes to Miss Holt to thank her for the radio, which will be very helpful in the music department. 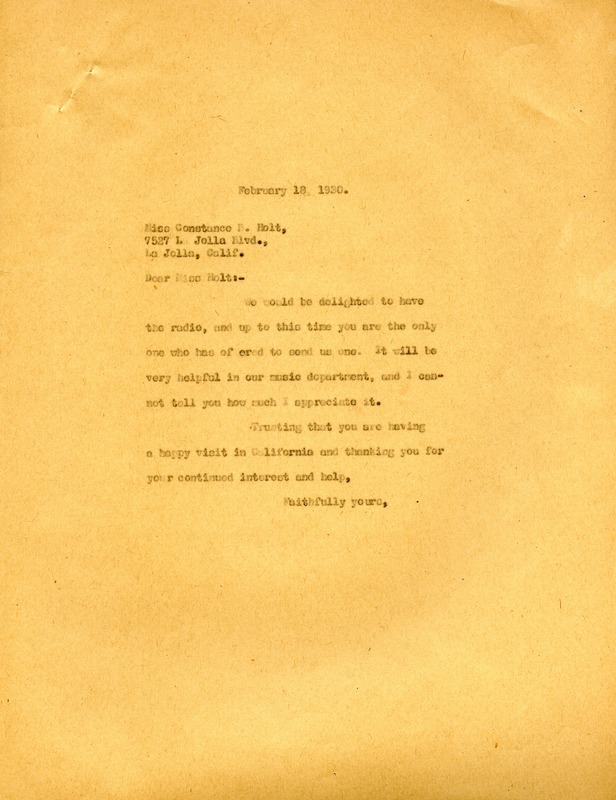 Miss Martha Berry, “Letter to Constance Holt from Martha Berry.” Martha Berry Digital Archive. Eds. Schlitz, Stephanie A., Aaron Jackson, et al. Mount Berry: Berry College, 2013. accessed April 25, 2019, https://mbda.berry.edu/items/show/13295.